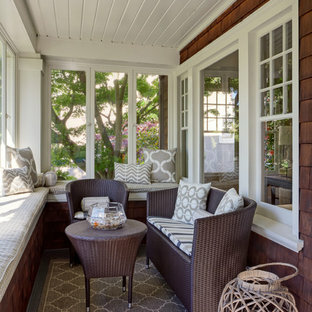 Comfortable and inviting wicker furniture provides a comfy sitting area and warm welcome in an enclosed sunroom at the home's entrance. 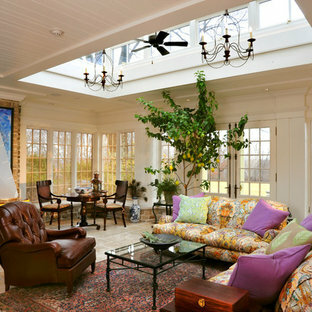 Inspiration for a small traditional conservatory in San Francisco with a standard ceiling. 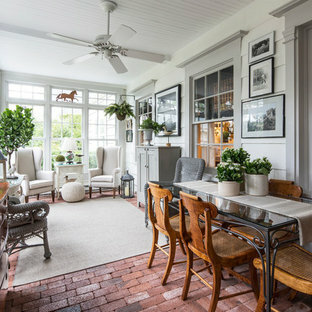 Design ideas for a medium sized classic conservatory in Boston with carpet, a standard ceiling, white floors and no fireplace. 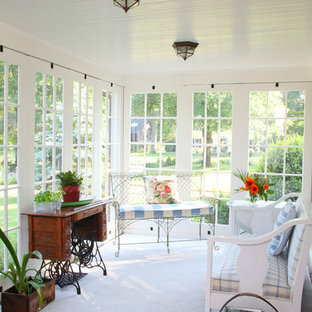 Design ideas for a medium sized classic conservatory in Other with a standard ceiling. This is an example of a medium sized classic conservatory in Houston with a stone fireplace surround, a standard ceiling and a standard fireplace. 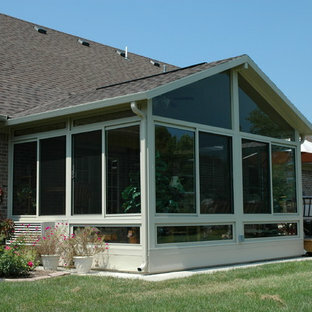 Large classic conservatory in Cincinnati with a skylight, ceramic flooring, no fireplace and beige floors. 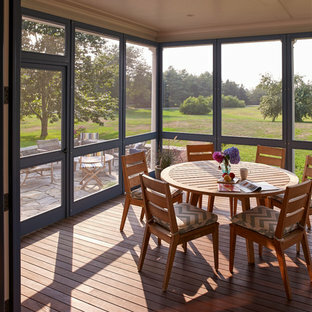 Design ideas for a traditional conservatory in New York with red floors. 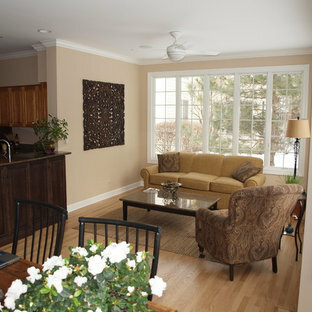 Inspiration for a classic family and games room in Chicago. Medium sized traditional conservatory in Other with a skylight. 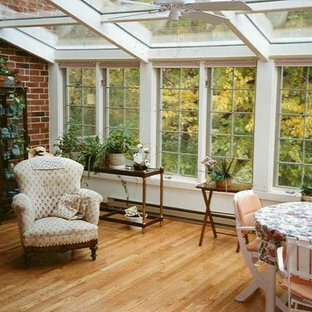 Design ideas for a medium sized classic conservatory in Other with no fireplace and a skylight. Medium sized traditional conservatory in Other with no fireplace and a standard ceiling. Medium sized classic home in Other. 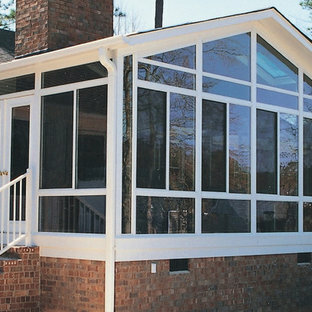 Design ideas for a medium sized traditional conservatory in Houston with ceramic flooring, no fireplace and a standard ceiling. This is an example of a medium sized classic conservatory in Other with medium hardwood flooring, a wood burning stove, a metal fireplace surround, a standard ceiling and brown floors. 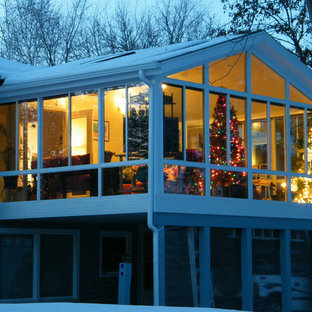 This is an example of a medium sized classic conservatory in Other with no fireplace and a glass ceiling. Design ideas for a small classic conservatory in Other with ceramic flooring, no fireplace, a standard ceiling and grey floors.